The Drum Atweme group engages young people from Town Camps in Alice Springs. Caring for Country Kids is being held at the Alice Springs Convention Centre in Northern Territory. Almost precisely in the geographical centre of Australia and located in the heart of the Red Centre, Alice Springs is a vibrant modern town with a thriving population of 28,000 people. 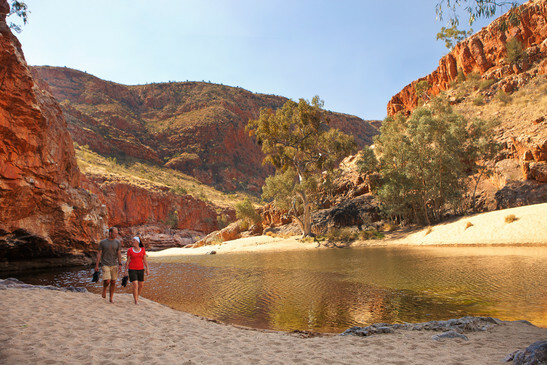 The original Alice Springs is a waterhole located 3km north of the present city and named after Alice Todd - wife of the Superintendent of Post and Telegraph, Sir Charles Todd. 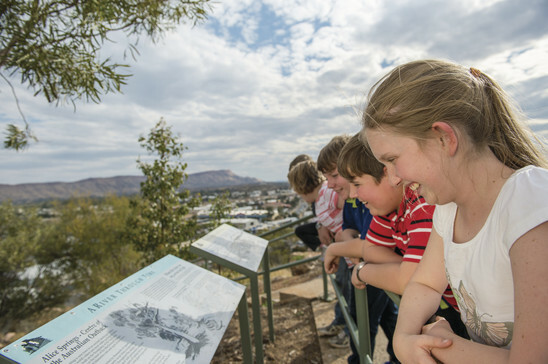 Located at the historic Telegraph Station, it is now a beautifully restored memorial dedicated to the pioneering spirit of the men who built the overland telegraph line from Adelaide to Darwin.Since their arrival, Alice Springs has evolved into a modern Outback Town, with all the creature comforts of a capital city. This area of Australia is part of the territory of the Arrernte people and is known by the local names of Arrende, Yeperenye, or Mparntwe. A variety of accommodation options has been secured through Travelmakers at flexible rates that are exclusive to attendees of the Caring for Country Conference. For further information or to book accommodation visit the Travelmakers website. Travelmakers are also able to assist with all your travel needs. Alternatively, you can contact them by phone or email. View Alice Springs dining guide.